To contact a member of our staff, click on the e-mail link below. Please allow a few days for us to respond. To speak to any staff member by phone, please call (501) 664-0340. 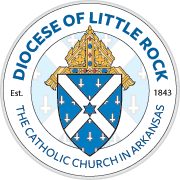 If not sure who to contact, visit our list of diocesan offices to learn more or call our office for further assistance. Bank Deposits, Deposit and Loan Fund, Inc.